Alvarez has expressed interest in making sequels to both of his horror cult classics, “Don’t Breathe” and “The Evil Dead,” but tells MovieWeb that only one already has a script in the can, with a representative for Alvarez telling TheWrap that one exists. Back in May, Alvarez polled Twitter to ask which film they would like to see a sequel for next. “Evil Dead 2” won overwhelmingly. No sequel is officially confirmed for either film, but Alvarez teased that following “The Girl in the Spider’s Web,” he plans on working on getting the sequel to “Don’t Breathe” made… in one capacity or another. Alvarez is currently attached to a remake of “Labyrinth” with TriStar, which will be sans David Bowie’s character from the original, TheWrap learned. 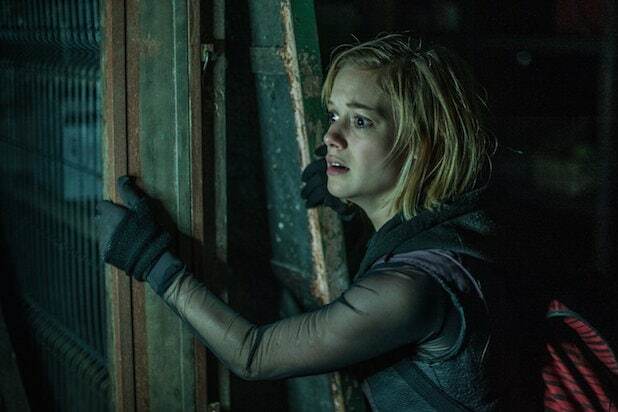 “Don’t Breathe” was a surprise box office horror smash for distributor Sony and Screen Gems, grossing $157.1 million worldwide on just under a $10 million budget. Alvarez’s “The Girl in the Spider’s Web: A New Dragon Tattoo Story” starring Claire Foy opens on Nov. 9. Can ‘Halloween’ Become One of the Biggest Horror Hits Ever?